Massage Therapy Courses London: Start your Hydrotherm journey today! We like to be organised here at Hydrotherm, so we have Massage Therapy Courses London training dates available to book NOW! Training dates also available in Cornwall, click here. Hydrotherm is the world’s first truly 3-dimensional massage system. Allow your clients to lie comfortably on their back for an entire back or full body massage. Absolutely no turning over needed! Using this system provides an effective massage for your client but also protects you as the therapist by using their body weight to give varying pressure, reducing wrist and lower back pain. Our entry level course gives you all the knowledge you need in order to start offering Hydrotherm massage as a treatment. 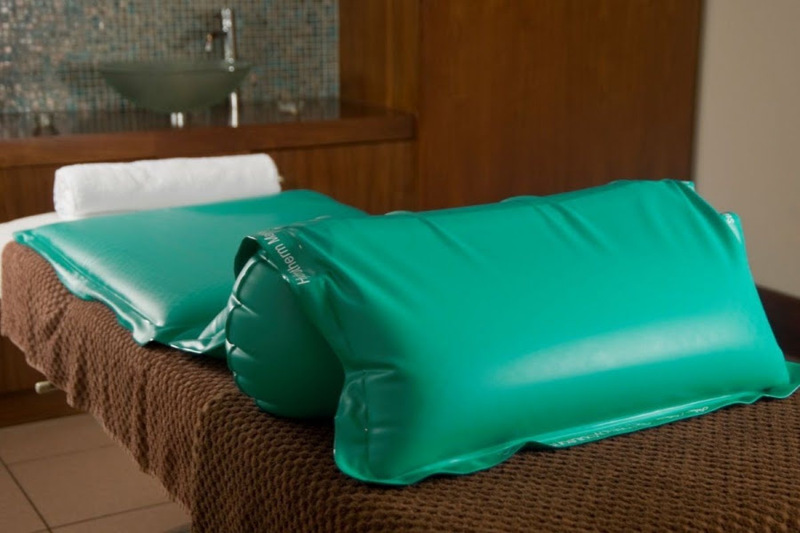 Suitable for all therapists who offer massage be that in a salon, spa or as a mobile therapist. To be able to book onto the course, you must hold a recognised qualification in Massage. You also need to have or be obtaining an anatomy and physiology qualification. This is a one-day practical training course followed by private study and case study reports which support your final practical exam. The final exam is half a day and consists of a short oral exam, reviewing case studies and performing the Hydrotherm massage techniques on your trainer. This course is specifically for those who are in treatment for or who have experienced cancer. You will learn how to safely provide massage to your clients who probably need it the most. The course covers a wide range of areas from dispelling myths, learning some of the medical terminologies and extending your consultation as well as the actual practical aspect of the course. There is no separate assessment day: your trainer will continually assess you throughout the day. The course is endorsed by the ‘Penny Brohn Centre’ and a donation of £30 is made from the Amethyst Trust. These training days will be run by our trainer Debbie Slater who has years of experience using and teaching Hydrotherm techniques. Our courses are hands-on, so please be prepared to massage and be massaged during the course. The course is open to a male and female therapist. *Each course is £220 + VAT which is £264 each. The mobile system is £325 + VAT usually. The offer price is £162.50 + VAT which is £195. You need to collect the mobile system on the first training day direct from your trainer. Discover dates and info about the Hydrotherm Massage Therapy Course and Cancer Massage Course that will take place soon!